Yesterday was the first day of Pri Adamah! It was an incredible success if I do say so myself. 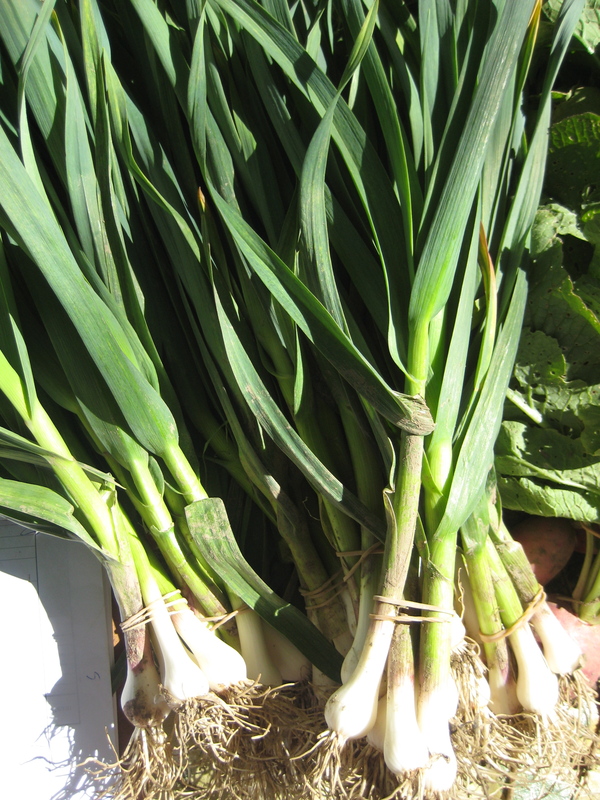 The produce available included: green garlic, green and purple onions, radishes, asparagus, bok choy, spinach, salad greens, asian greens, peppermint, potatoes, apples, and rhubarb. KO and I initially signed up to split a regular share and we quickly realized that we needed to upgrade to a large. 6.5 points per week were just not going to be enough! Now we each have 9 points and feel more comfortable with the splitting option. I didn’t get a chance to cook last night because I was working. Tonight I’m so excited to make dinner. And I think an apple rhubarb crisp or something of that nature is in my future. To the right is green garlic. This is a vegetable I wasn’t previously familiar with before yesterday. Thanks to the research of one of the Pri Adamah members, there are lots of recipes on the facebook group for this veggie. As many of you know our minimum goal for memberships for Pri Adamah was 50. We were aiming for this number by the middle of the season, but obviously wanted it as soon as possible. Well we have 54 memberships and it has only been one week!